Here is a fun deal for fans of Joanna Gaines and Fixer Upper! 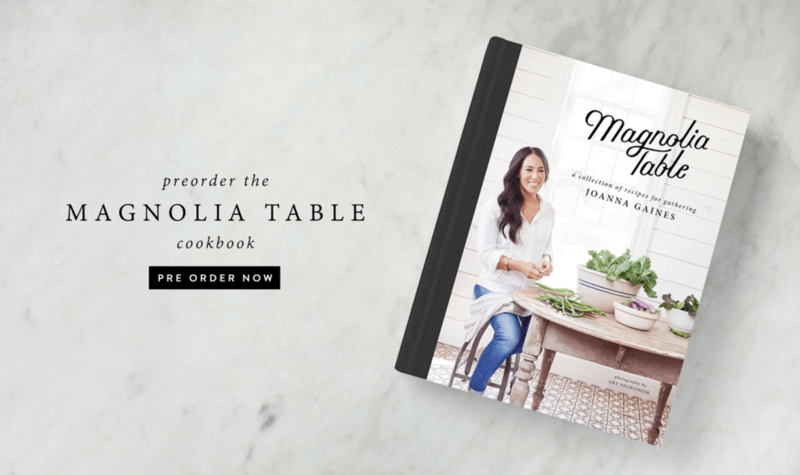 Joanna’s new cookbook, Magnolia Table: A Collection of Recipes for Gathering, is available for pre-order right now from Amazon, Target and Walmart for just $17.99 (reg. $29.99). Magnolia Table includes 125 classic recipes—from breakfast, lunch, and dinner to small plates, snacks, and desserts—presenting a modern selection of American classics and personal family favorites. The cookbook comes out April 24, 2018. Some of the recipes are even selections from the Gaines’ new Waco restaurant, Magnolia Table, which opens this year! Pre-order discounts valid for a limited time.